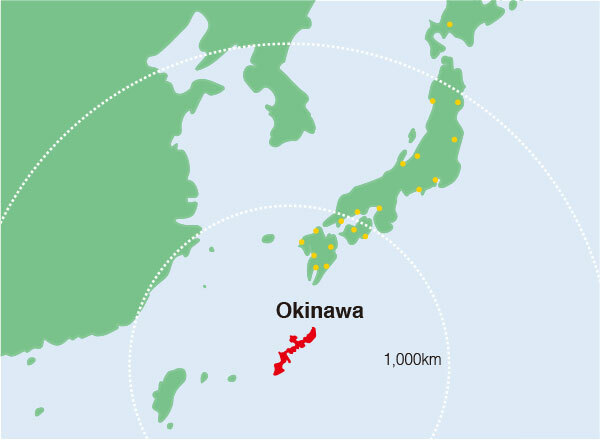 Okinawa Prefecture consists of 160 islands stretching 400 kilometers north to south and 1,000 kilometers east to west between the Pacific Ocean and the East China Sea, of which 49 are inhabited. 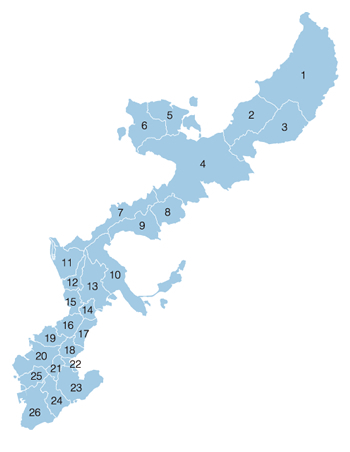 The chain is known as the Ryukyu Islands. 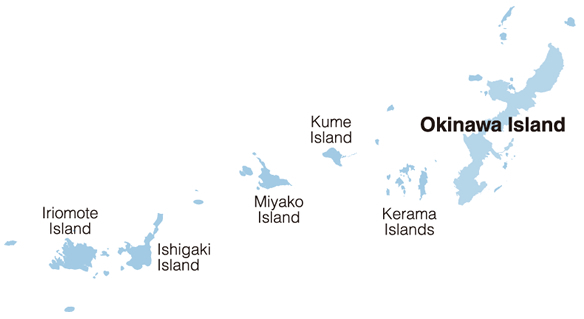 Okinawa belongs to a subtropical climatic region and has an annual average temperature of 23.3 degrees Celsius. A seasonal wind blows from the south in summer and from the north in winter. 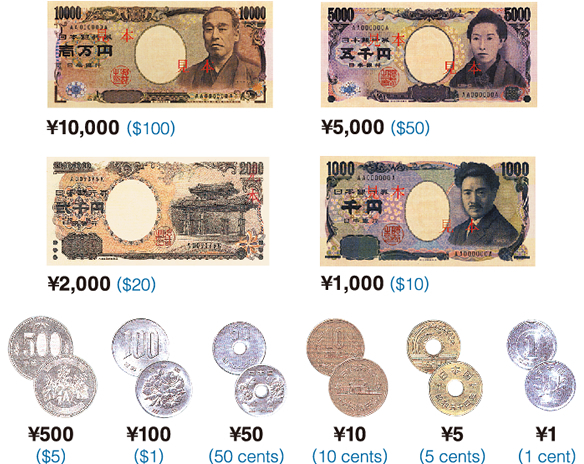 About 10-15 typhoons hit Okinawa each year during the summer and autumn months. To be prepared for a typhoon you should regularly check typhoon warnings in the paper and on TV and radio. When a typhoon warning is announced, bus service stops and school and public offices are closed.